Skanska, one of the world’s most successful project development and construction firms, has been implementing BIM on projects around the world for many years. By utilising state of the art construction technology, they have been improving communication amongst project stakeholders, saving time, reducing budget, increasing efficiency and limiting risks. When it comes to the implementation of BIM on Skanska projects, one country stands out with its strong and successful bond with BIM 360: Norway! Skanska Norway’s relationship with Autodesk has born through the implementation of BIM 360 Field during construction of one key project in 2011. The Statoil Building, seen above, was inspired by Mikado sticks. It has spectacular architectural features, designed with five column-free shells that are three floors high. The impressive building, completed with the help of BIM 360 Field, spans over nine floors and 67.000 square meters. After so much success on this project, Skanska Norway made BIM 360 an essential dynamic tool for new projects throughout the region. Safety, of course, is a top priority for Skanska Norway. In order to keep construction risks to a minimum, they use BIM 360 Field for safety and tidiness inspections. Using BIM 360 Field has been helping them detect and fix potential safety issues before they arise. Just ask Project Manager Kristin Ingebrigtsen. She says “we have addressed many issues in advance of construction which helps us save significant time and budget by detecting issues before they escalate. 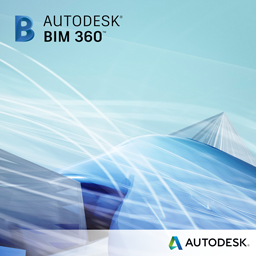 BIM 360 Field has helped us to capture the building site documentation during the entire construction process." To know more about how BIM 360 Field helped Skanska complete this challenging project within a tight schedule and budget, check out how construction management technology helps Skanska succeed.